My friend Mike Jenkins arrives with a box of bean & raves about them. I raise an eyebrow & question, “a new bean”? Mike answers you’ll see, just don’t overcook them. Keep a crunch. I did & they were truly terrific. But with an unusual name, Dragon Tongue. After many evenings of standing in front of the stove, they came to the rescue to save a simple dinner. Cath enjoyed them with her steamed Broccoli. 2. Drain & transfer to a mixing bowl. 3. 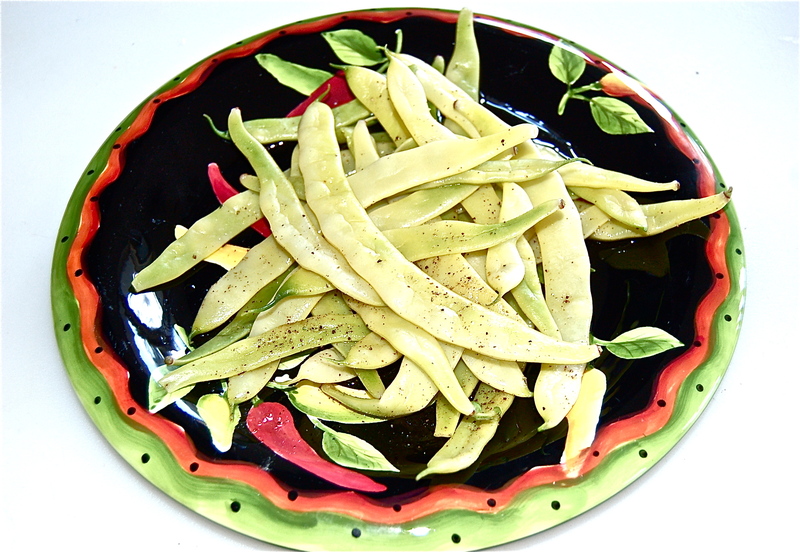 Toss with the EVOO & sprinkle Salt & Pepper. Thanks Mike they were very tasty.